Went to Bee Choo for another treatment and realised that it has been 5 weeks since I first started going there. As I ran out of my Aveda hair tonic (it stops thinning hair), I decided to buy a bottle of tonic from Bee Choo. 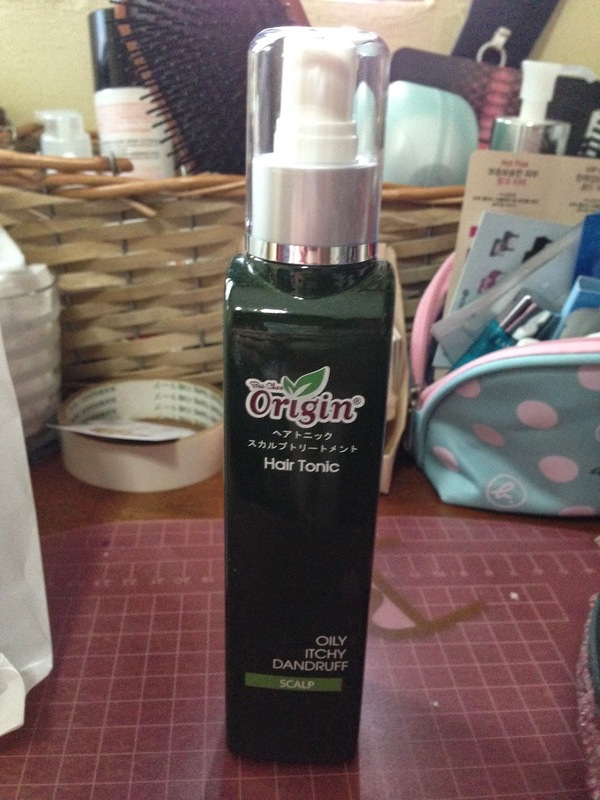 The bottle above costs only $30, which is a fraction of the S$100 something that I paid for the Aveda hair tonic. But let's compare apples to apples, oranges to oranges. Bee Choo has 2 types of hair tonics - 1 meant for oily, itchy scalp that produces dandruff while 1 is for severe hair loss. Speak to the assistants and they'll be able to best advise you on which type to get. The smell of this tonic is really herbal and after massaging it into the scalp, it feels very minty. It does not contain mint although it does contain alcohol but it doesn't seem to dry out the scalp either. I would've thought that the alcohol will dry out my scalp and cause it to produce more oil but the opposite is true! It does help control the amount of oil produced and hopefully, this will prevent further clogging of my hair follicles! Interestingly enough, my brother commented that my hair looked extra clean. So it does look like the tonic does work in terms of controlling the itching and oil on my scalp. Exactly like what the label reads. As for the overall treatment, I don't see any significant difference in hair volume. Still sparse in the front but I can safely say that the regular treatments are helping with the dryness of the ends. So the tonic prevents the scalp from being too oily but the general treatment maintains the moisturised ends. It's still too early to tell when it comes to hair regrowth...but we'll see how it goes! Review on the tonic can be found here!